Almost half of Mali’s population is poor. Mali is one of the poorest countries on Earth, ranked at 168 out of 179 by the United Nations’ list of countries (per capita income). The main issue facing Mali is desertification, with approximately 70,000 hectares of land being lost to desert annually. Mali’s land is sixty percent desert and just ten percent forest. With this problem increasing there are associated issues of drought, decreasing pastureland and lack of drinking water. These factors make life extremely hard for the people. There is also an increased threat to the unique wildlife of Mali, as they lose more and more of their habitat and struggle to survive. Much of Mali’s economic output depends on the areas of land fed by the Niger River and Senegal, and eighty percent of Mali’s workforce consists of farmers and fishermen. The country’s other main source of income, the export of gold and cotton, remains unstable due to fluctuating market forces and unpredictable economic conditions. Our partner organisations have been involved in a widespread reforestation programme since 2006. 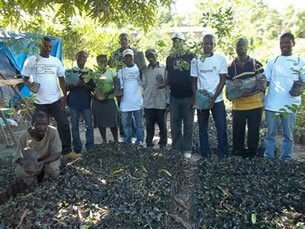 Local communities and our partners have been planting a variety of species aimed at addressing many concerns simultaneously. 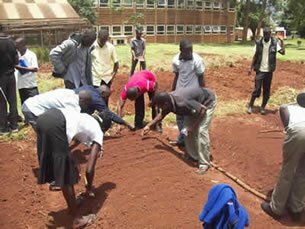 Species such as baobab, cashew and gum acacia trees have been planted for food and construction materials. To provide animal forage, species such as Gliricidia, Gmelina and Leucaena have been planted. 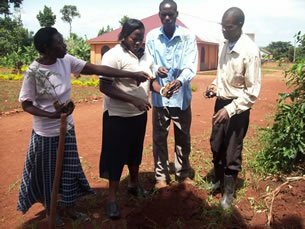 Farmers have been encouraged to plant tree species that also improve the soil.